I recently had dinner at Bonefish Grill. I've eaten there plenty of times before (usually either in Pinebrook or Paramus) so I knew what to expect. For those unfamiliar with them, they are a nicer chain restaurant specialising in grilled fish. While a large number of chains have their gluten free/allergen menus online, Bonefish has an actual printed copy available. This menu has a large GF next to any items that do not contain gluten or can be ordered without gluten. 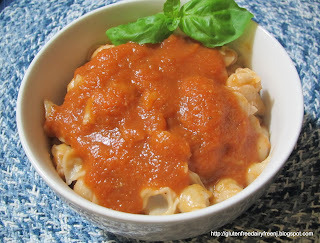 Most of these items are (or can be prepared) dairy free as well. Even though they were very busy, our waitress was very attentive and made sure to double check everything. 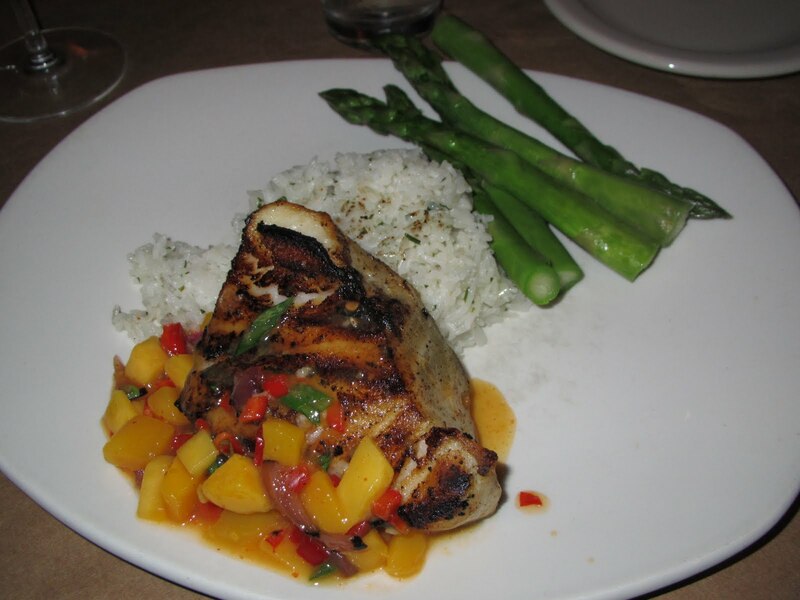 As you can see at the right, I had the Chilean Sea Bass with Mango Salsa, steamed asparagus, and herbed jasmine rice. Since most restaurants put butter in the entire pot of rice while it is cooking, this is one of the few places I can eat rice out! They also have three different steamed vegetable options: asparagus, broccoli, and mixed. It's nice to have side options that aren't just a dry baked potato. If you've never been to a Bonefish Grill I highly recommend them, they've got ten locations in NJ as well as over a hundred more in 27 other states. And don't forget my giant list of Gluten Free NJ Restaurants as well as my giant list of Gluten Free Chain Restaurants.